Temple Allen will be at MRO Americas 2019 in Atlanta, GA from April 9-11. 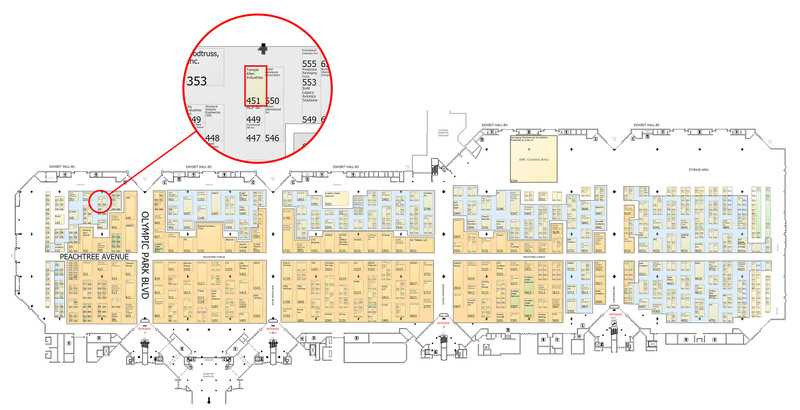 Stop by Booth #451 and try our equipment! We introduced our new paint stripping technology in our Fall Newsletter, and will be demonstrating it at MRO Americas 2019 in Atlanta. 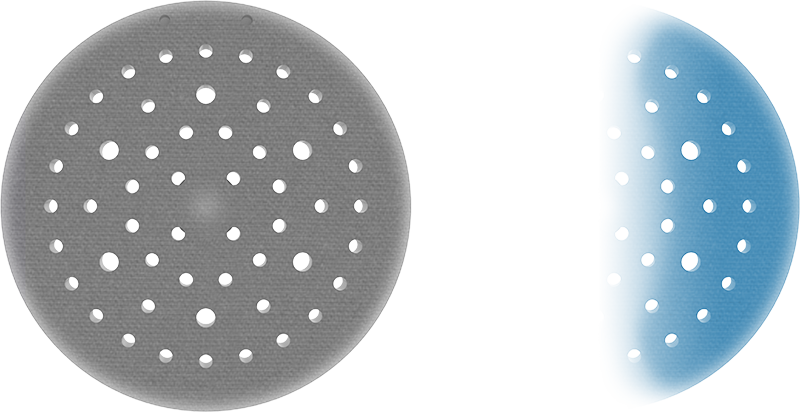 This technology is intended to address the challenges associated with the most intensive surface preparation tasks – paint stripping. Aerospace paint is manufactured to withstand dramatic temperature changes, unrelenting UV exposure, and 500+ mph winds. All the characteristics that help paint stick to the aircraft under such adverse conditions, however, make it difficult to remove during repaint operations. Because interim touch up paint application is common, aircraft will often have different paint thicknesses adjacent to each other. Paint depth and material properties can also be impacted differently by initial surface preparation, UV damage, etc. These potential inconsistencies prevent a uniform approach – where the tool touches every part of the surface the same way for the same amount of time. Sanding to remove paint can often be done indiscriminately, especially in thick areas. When nearing primer or substrate, great care must be taken to fare the surface without abrading too much. The art of removing the correct amount of material requires the ability to toggle between aggressive removal and light feathering to accomplish a smooth final topcoat. Contributing to the difficulty of the process, some MRO paint hangars settle for only a light scuff of the surface prior to adding a fresh coat. It certainly minimizes complexity, time, and cost in the short term, but does so at the expense of leaving extra weight on the aircraft and making the eventual full de-paint all the more challenging. Artisans are also exposed to risks from poor ergonomics. Holding a vibrating sanding tool, particularly overhead or on a vertical surface, is known to cause torn rotator cuffs or HAVS (Hand-Arm Vibration Syndrome), among other injuries. While true for any sanding operation, these risks are greater for paint stripping, which requires longer sanding times and greater contact pressure. Desired Characteristics - What does a great solution look like? 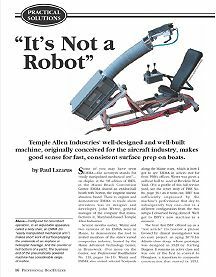 Temple Allen engineers have spent years developing better tools and technologies for sanding operations. Our latest addition to the family is a dual-mode feature that allows an artisan to alternate between standard abrading and an enhanced mode for more aggressive sanding. An artisan can therefore power through multiple layers of aircraft paint and gently feather the edges of any sanded area so that no additional sanding steps are required. 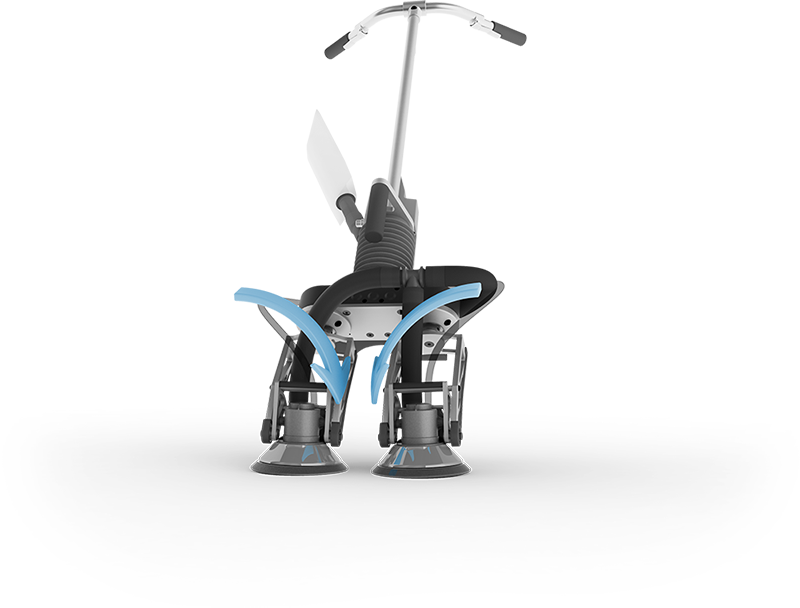 This technology, designed specifically for paint stripping applications, also eliminates the injury risks associated with vibration, poor postures, and high grip forces, improving artisan morale and reducing both absenteeism and training costs. The patent-pending technology implements a technique that experienced artisans often use: focusing the application of pressure on one side of the sander. As employed by our EMMA™ and SAM™ systems, the technology increases the cut rate with a level of control and consistency not possible for artisans to emulate. 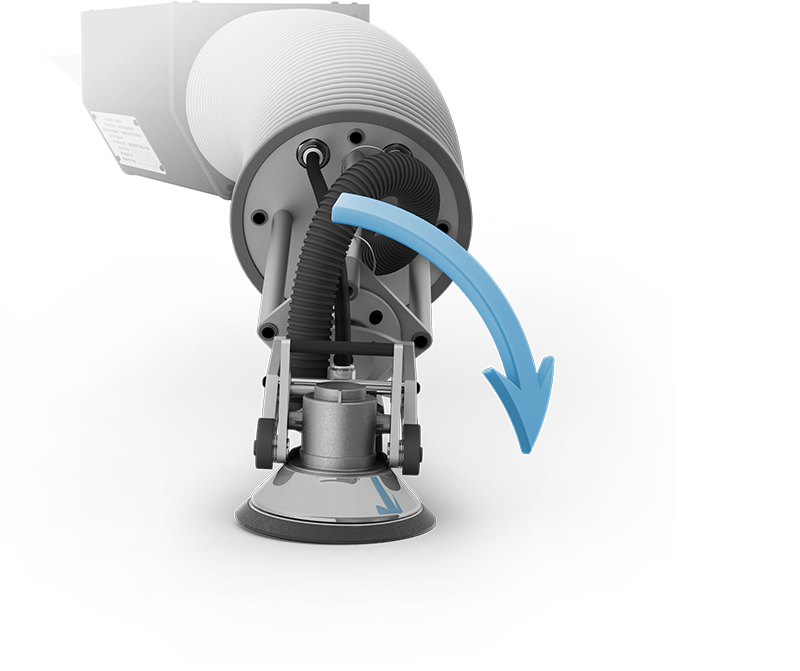 This significant evolution in sanding technology is now available. Contact us to learn more! EMMA™, featured in the April/May 2009 issue of Professional BoatBuilder, was described as "versatile, well-made, and intelligently thought through." "EMMA™ has become my best friend in the shop. It saves so much time and allows painters to concentrate on the quality of work," says Dave Schaffer, paint lead at the Boeing 737 Rudder Shop in Renton, Washington. 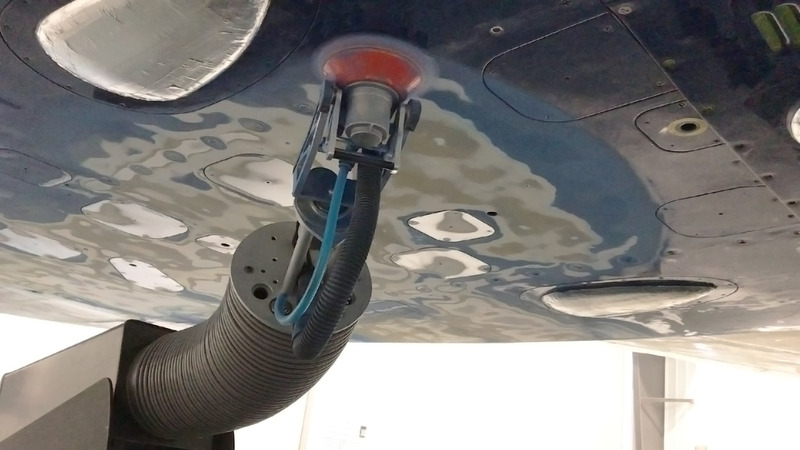 Aviation Maintenance Technology's April 2014 issue describes EMMA™ as a genuine solution to the MRO sanding challenges of process time, dust capture, and vibration injuries. Read the latest EMMA newsletter to learn more about TAI's ongoing projects, the latest EMMA technology, and upcoming conferences that TAI will be attending.